The American cartoonist Charles “Chas” Samuel Addams was born 7 January 1912 in Westfield, New Jersey. His father encouraged him to draw from an early age, and Addams did cartoons for the Westfield High School student literary magazine, Weathervane. He attended Colgate University in 1929 and 1930, and the University of Pennsylvania, where a fine-arts building on campus is named after him, in 1930 and 1931. In front of the building there is also a sculpture of the silhouettes of Addams Family characters. He then studied at the Grand Central School of Art in New York City in 1931 and 1932. 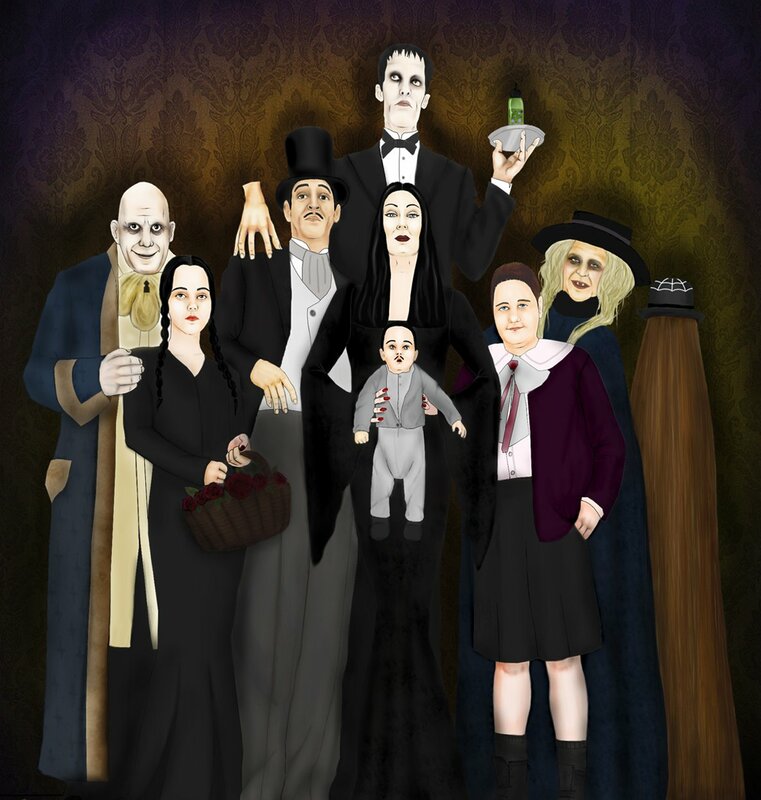 The Addams Family, were known for their particularly black humour and macabre antics and The Addams Family television series began after David Levy, a television producer, approached Addams with an offer to create it with a little help from the humorist. All Addams had to do was give his characters names and more characteristics for the actors to use in portrayals. The series ran on ABC for two seasons, from 1964 to 1966. and also became the basis for two two animated TV series, three motion pictures, and a Broadway musical. Addams was “sociable and debonair,” and was described by a biographer as “A well-dressed, courtly man with silvery back-combed hair and a gentle manner, he bore no resemblance to a fiend.” Addams was a bit of a lady’s man and was also friends with Greta Garbo, Joan Fontaine, and Jacqueline Kennedy. Addams sadly Passed Away on September 29, 1988 at St. Clare’s Hospital and Health Center in New York City, having suffered a heart attack while still in his car after parking it. An ambulance took him from his apartment to the hospital, where he died in the emergency room. As he had requested, a wake was held rather than a funeral; he had wished to be remembered as a “good cartoonist”. He was cremated and his ashes were buried in the pet cemetery of his estate “The Swamp”.